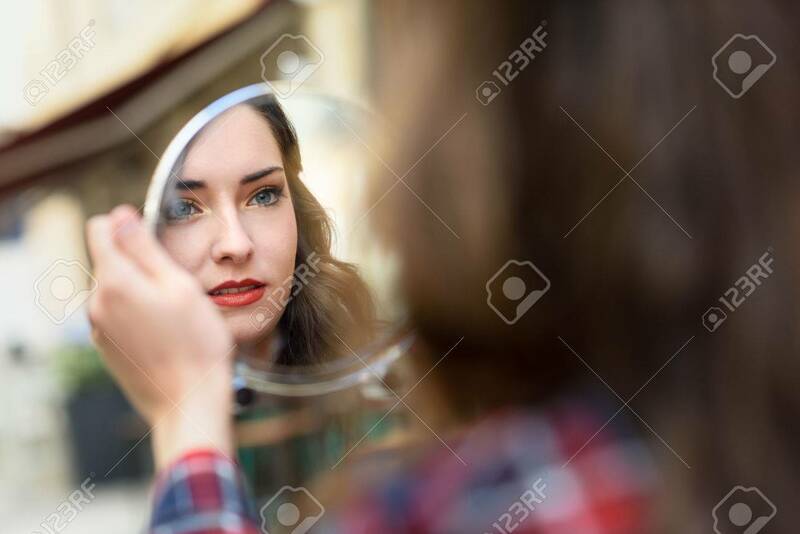 Portrait Of Young Woman Looking At Herself In A Little Mirror.. Stock Photo, Picture And Royalty Free Image. Image 58016028. Stock Photo - Portrait of young woman looking at herself in a little mirror in urban background. Portrait of young woman looking at herself in a little mirror in urban background.